Notan is a Japanese design concept involving positive and negative space. 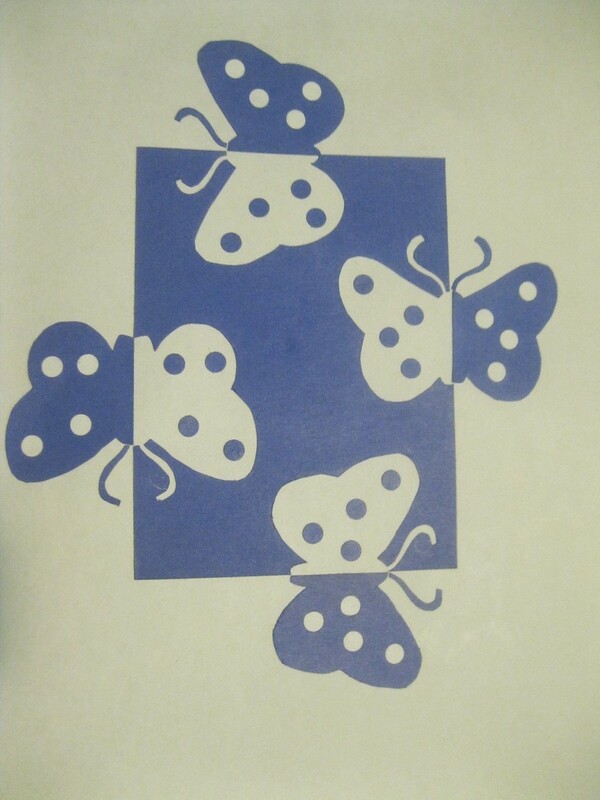 I kept coming across this type of project while looking for projects to do at my daughter's school. I can see why it's so popular. It's suitable for most ages. I had lots of fun! Plus, it's simple and I had all the materials. The possibilities are endless with this project. 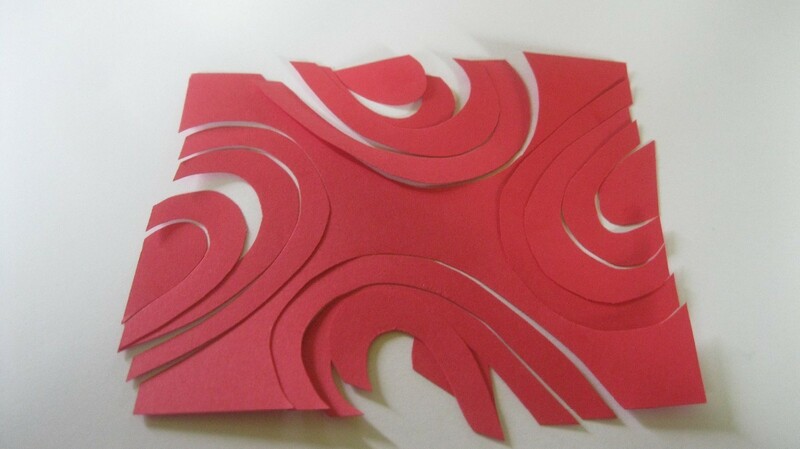 You could create a scene, cut specific shapes, or organic shapes. We're having lots of fun with this one! background paper. I used 8 1/2 x 11 inches, printer paper. 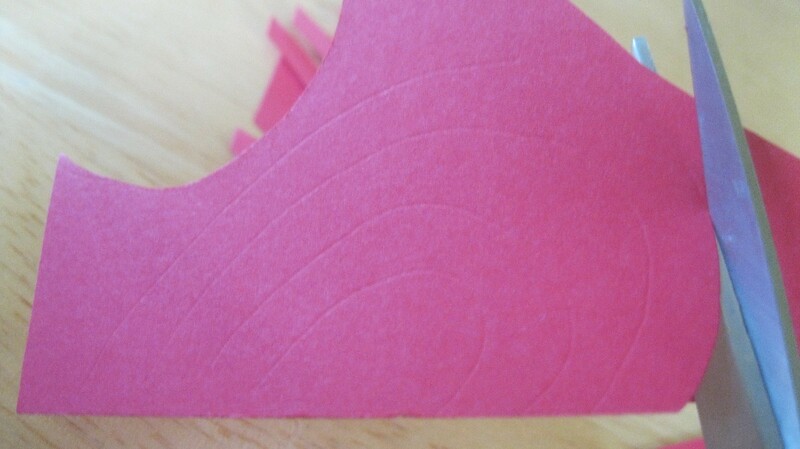 piece of cardstock or construction paper. 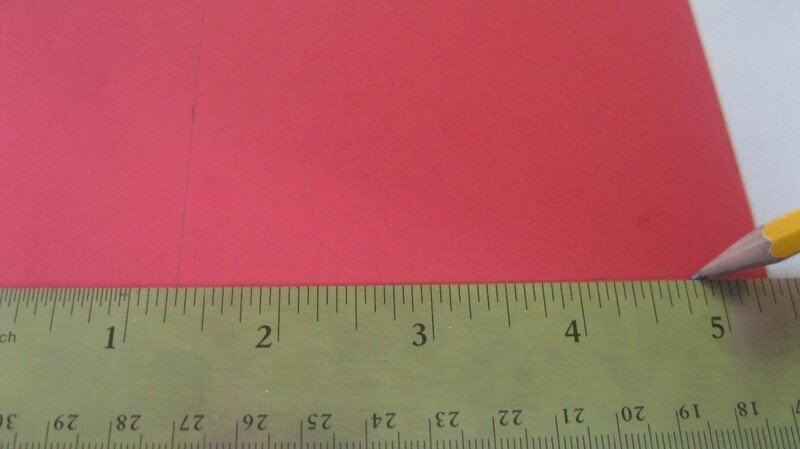 I cut mine to be 4 x 5 inches. Cut your construction paper or cardstock to 4 x 5 inches. 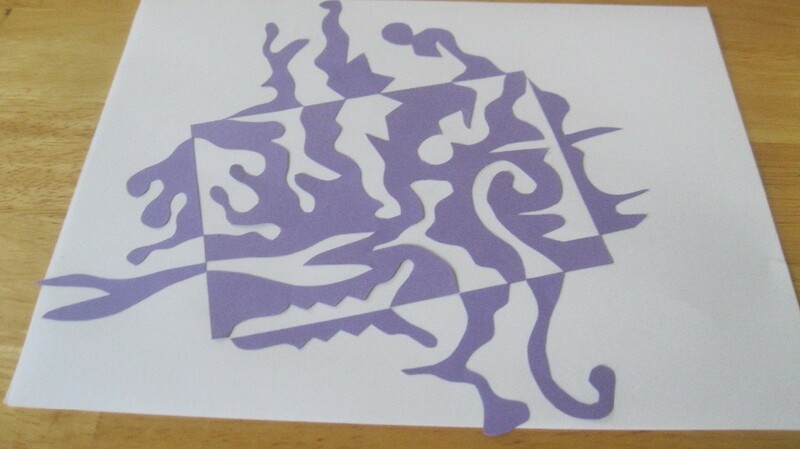 You can go ahead and cut freehand or cut organic shapes at this point. 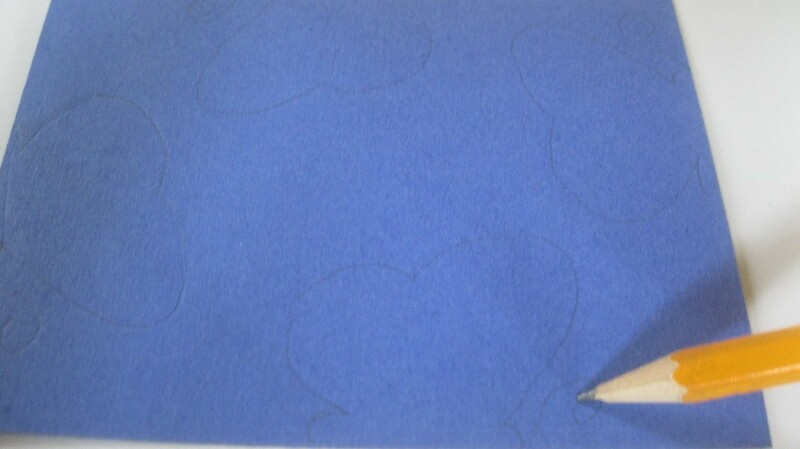 I drew it out on my paper because I can't cut in a straight line! I drew the design in pencil on all 4 sides. 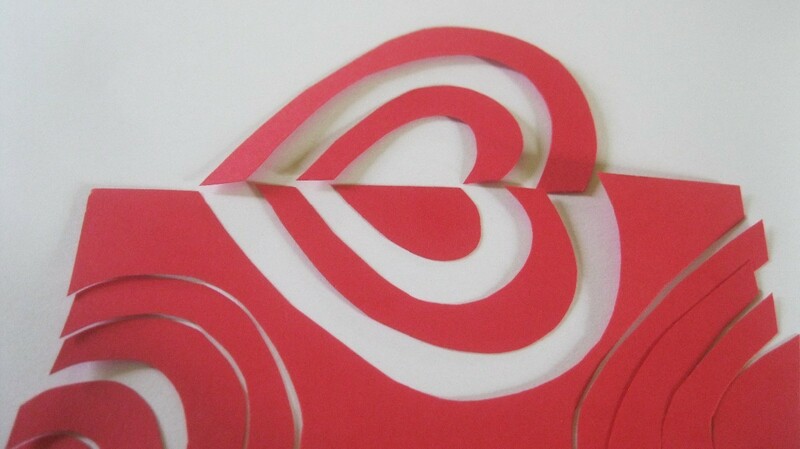 Once you have your design, start cutting out the pieces. When all the pieces are cut out, put the pieces back together like a puzzle. 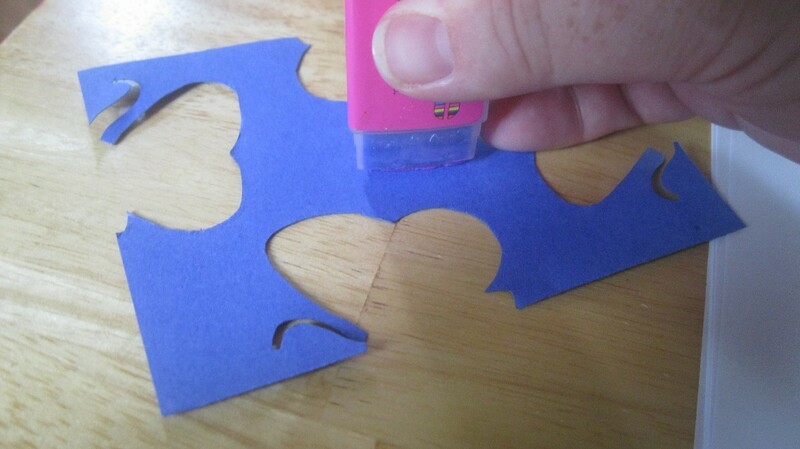 Flip the cut pieces directly outside the box. Flip it over like a pancake, so that you have a mirror image. For the hearts, I alternated the cut pieces. The largest piece went outside the box, the next one inside, the next one outside, etc. 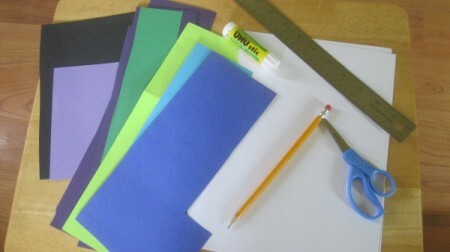 Glue your cardstock square down first. Glue the outside pieces, making sure to align the shape with the edge of your square. 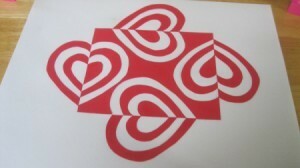 Try to make sure that all pieces are mirror images of the inside design. Have fun with more designs. The sky's the limit!